Railpictures.ca - Liam Dumancic Photo: CN 1444 backs L542s train back to XV Yard and eventually head to North Guelph to interchange with the Guelph Junction Railway. | Railpictures.ca – Canadian Railway Photography – photographie ferroviaire Canadienne. 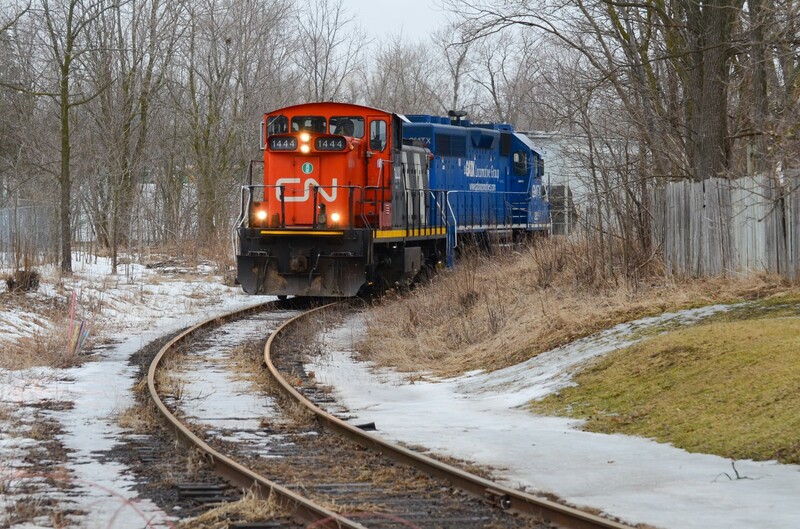 Caption: CN 1444 backs L542s train back to XV Yard and eventually head to North Guelph to interchange with the Guelph Junction Railway.